Serving Alaska's needs in the production of native plants and traditional crops. 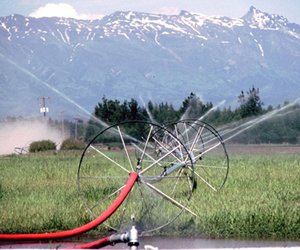 The 405 acre Plant Materials Center (PMC), near Palmer was established by the Alaska Legislature in 1972 to promote the state's agricultural industry. 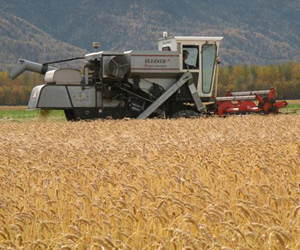 Grains, grasses, fruits, potatoes, shrubs, and trees are evaluated for the potential use in Alaska climates. Small quantities of these plant materials are released to Alaskan commercial growers who then increase the production of these materials and make them available for food, ornamental, and conservation purposes. For more information on the individual Plant Materials Center programs please visit each program's webpages listed on the left or contact the Plant Materials Center directly. The 2019 PMC Annual Seed Sale is here. Orders can be placed starting April 17 and will last throughout the growing season (September) while supplies last. Orders will be fulfilled on a first-come, first-served basis. The availibility list will be online on April 12. 2019 Annual Seed Sale List. The 2019 Surplus Seed Potato List is now available. Click here for the list.